The Jewish community of Morocco, at one time 350,000 strong, is now reduced to a mere 3,000 Jews throughout the country. In several mass migrations in the 19th and 20th centuries, this historic Jewish community fled economic uncertainty and lack of opportunity for Israel, France and Canada. 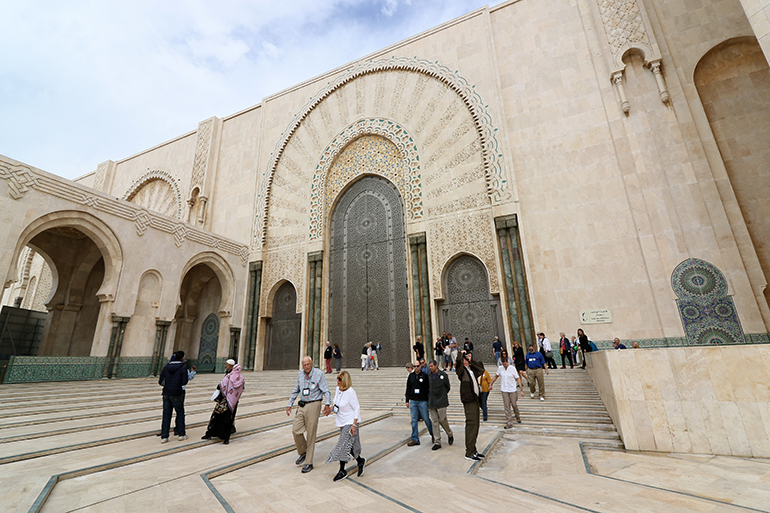 In Morocco today, the majority of Jews are located in Casablanca – a community that, with only 2,000 Jews, supports 25 active synagogues, 5 Jewish day schools, 12 kosher butchers and 3 Jewish bakeries. 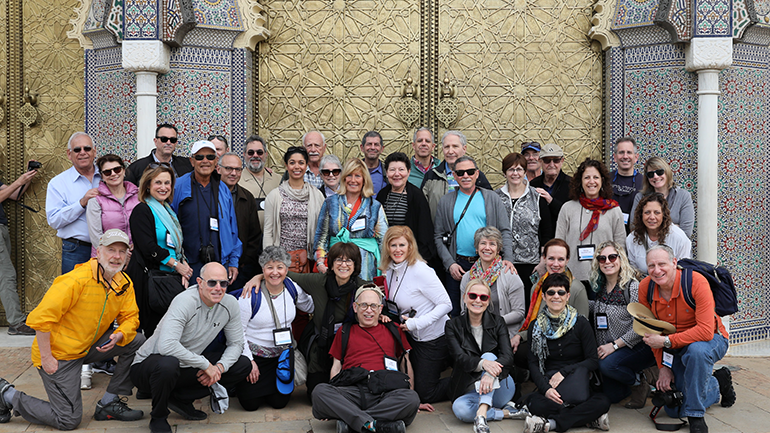 Last week, 35 Pittsburghers visited the cities of Casablanca, Fes, Rabat and Marrakech as part of the Jewish Federation’s Mission to Morocco. Together, we visited synagogues, mosques, palaces and markets. At every turn, the Jewish community greeted us with warmth, conversation, and lots of mint tea! In Casablanca, we watched Jewish children sing Hebrew songs – not a standard sight for a Muslim country like Morocco. Thanks to the support of Federation’s overseas partner, the American Jewish Joint Distribution Committee (JDC), this and other Jewish schools in the community are providing Jewish knowledge and identity for the next generation. Other parts of our visit were not as hopeful. At the beautiful, mosaic-tiled home of a Jewish community leader in Rabat, we heard the sadness and resignation in his voice as he talked about how their once-thriving community has dwindled to just 75, and that he knows his children will never again live in Morocco. The Pittsburgh Jewish community, by comparison, is growing and expanding, according to the Federation’s recent Community Study. We are nearly 50,000 strong, with a thriving system of Jewish day schools and camps, Jewish Community Centers, support services for the aging, and engaged synagogue populations. Much of the success of our community is due to the backbone of support provided by the Jewish Federation’s Community Campaign. Visiting Jewish communities around the world always makes me treasure our exceptional Pittsburgh community. I hope you will consider joining us for future mission opportunities to meet our global Jewish family, to destinations such as Israel, Russia, Australia and India. 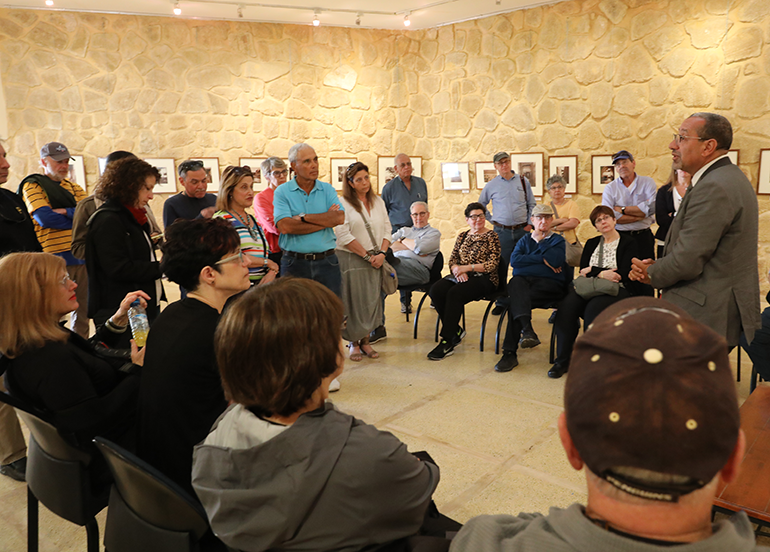 Mission experiences, such as our recent visit to Morocco, help us to understand the rest of the Jewish world, and strengthen our own community at home. Wishing you and your families a Happy Passover.